Apparently when Columbus discovered Little Cayman, he thought it was surrounded by large, round boulders. Closer inspection revealed these rocks to be thousands upon thousands of turtles. The islands were therefore named Las Tortugas. Unfortunately for the resident turtle population, it was soon also discovered that turtle is delicious and stores well on long sea voyages. 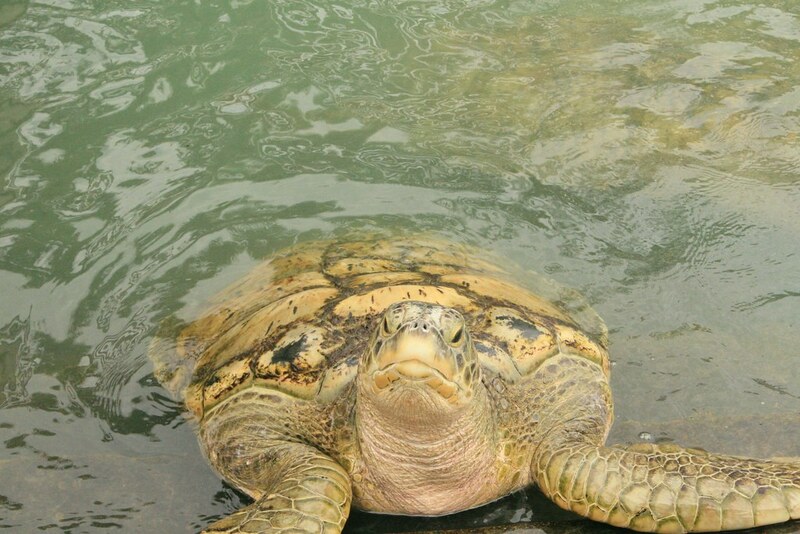 Since then, turtle numbers have declined rapidly and they are now considered endangered. 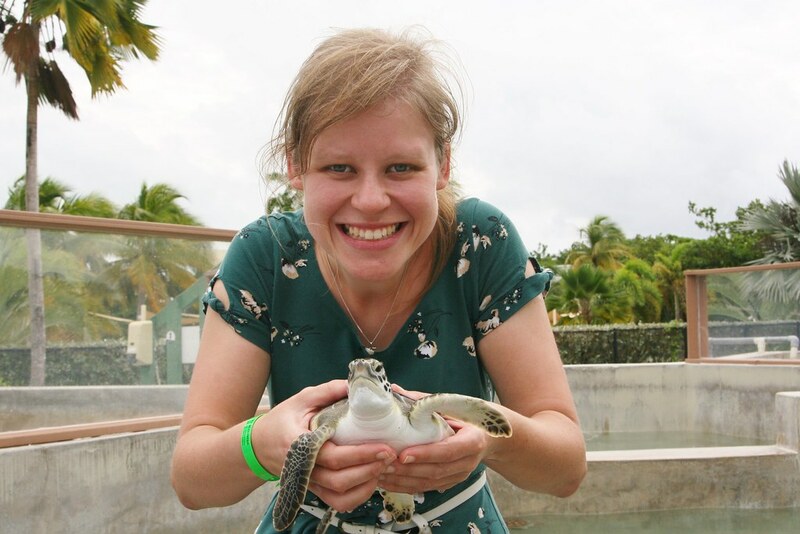 In recent years to combat this, Grand Cayman has established a turtle conservation centre where they breed turtles and release them into the sea when they mature. In the wild baby turtles are tiny and everything is against them; their chances of survival are slim and so females lay clutches of 100 eggs at a time. 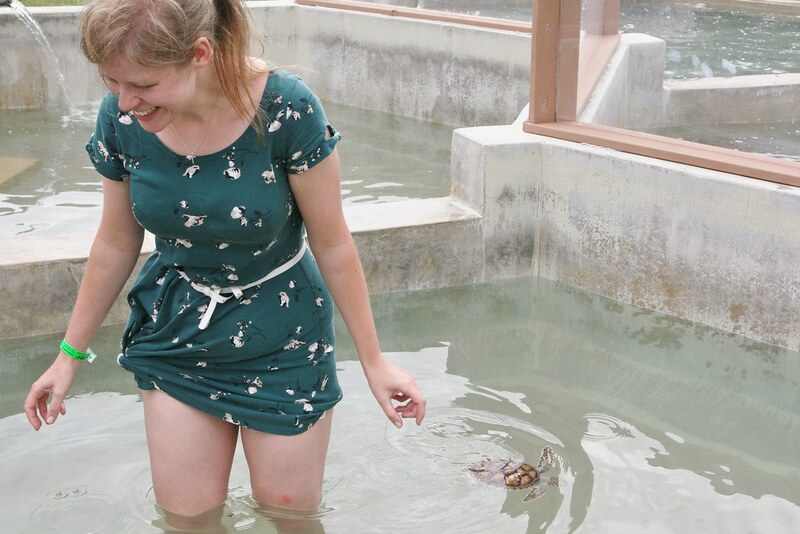 However, the little turtles incubated and hatched in the centre have around a 50% survival rate (which is huge compared to 1-2% in the wild), and since it opened the centre has released over 30000 turtles in the wild. Tracking their progress has revealed how far and wide they have spread, and some of them are now starting to return as they reach maturity in order to lay their own eggs. 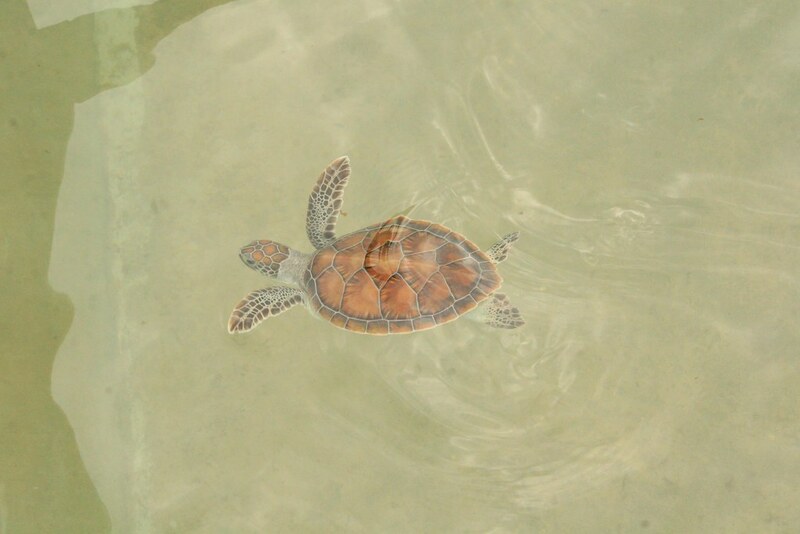 As we wandered around the centre, we encountered various types of turtle. We could hear them gasp for a deep breath of air as they rose to the surface, before paddling serenely down again. And we kept our fingers well out of reach, as apparently some bite! They seemed pretty chilled even when lifted gently from the water. 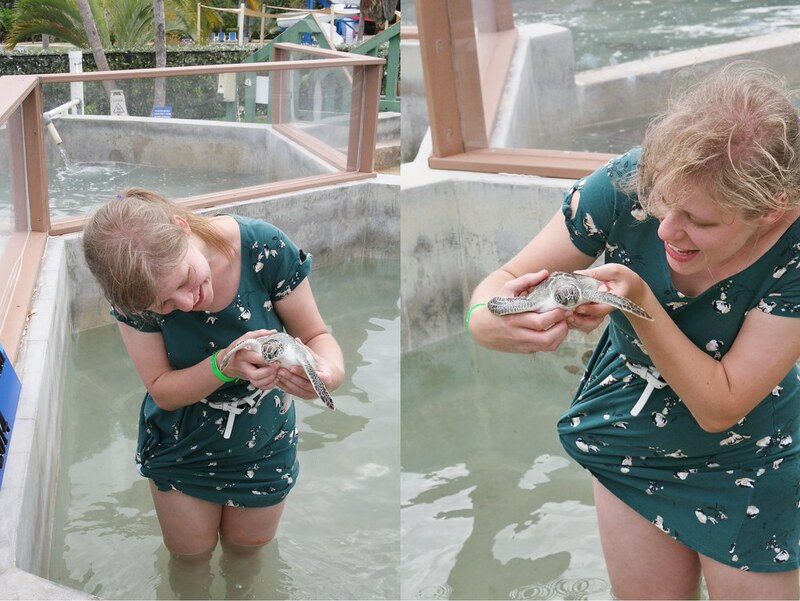 They waggled their flippers, but stroking them gently under the chin made calmed and reassured them, and they sat quite happily in my hands, posing for pictures like pros. You can't hold the grown-up ones. They weigh about 400lbs, and this chap looked imperiously at me as though the very idea offended his dignity. I apologised, of course. P.S. While it is never nice to see animals in captivity, I'm glad that effort are being made to protect these lovely creatures and as a tourist it was a real privilege to get so close. It's illegal to disturb turtles or their nests now and let's hope that with a bit of support they can continue paddling around. Oh my. One of my own bucket list items is to see a turtle in the wild, swim with one if possible. I was, therefore, completely enthralled by your post! Lovely photos. We went there four years ago, but we didn't get to go in the pool with the babies. Can you believe it rained? In Grand Cayman? in September?